There is a new cafe at the college side of HCI. Run by an alumnae, the HCJC Alumni has arranged for the cafe to be opened for alumni members on the last Saturday of each month (except July). We hope that alumni will use these sessions to network with one another and to reminisce the good old times spent at HCJC. The name of the cafe is College Times Cafe. During the “limkopi” session, coffee, tea, milo and kaya toast will be provided at no cost to alumni and their family. Other food items will be charged at cafe prices. A special lunch menu will also be provided. The location of the cafe is at the new Holistic Education Centre next to the college canteen. You may drive up to the parking lots next to the cafe or come in via the MRT gate if you are traveling by MRT. Please stay tune for our announcement of the date for the monthly session. The Hwa Chong Junior College Alumni is extremely proud of the current batch of students taking the 2015 A-Levels examinations. HCI has achieved its best results ever, since the first batch of Integrated Programme (IP) students took the A-Levels in 2007. This cohort has done well, scoring a record average UAP of 85.22. 6 out of 10 scored 3 H2 Distinctions and above. H2 Mathematics, H2 Physics, H2 Chemistry, H2 History, H2 Knowledge & Inquiry, and H1 General Paper recorded significant improvements in distinction rates, surpassing last year’s cohort. Half of 19 H2 subjects registered significant improvements in distinction rates. Besides their sterling academic results, the Class of 2015 has also excelled holistically. 14 Certificates of Distinction at the 2015 Singapore Youth Festival. To date, 17 Hwa Chong students have been awarded provisional Public Service Commission Scholarship offers. Hwa Chong students were also awarded 3 Singapore Armed Forces (SAF) Scholarships and 1 Singapore Police Force (SPF) Scholarship. Let’s join hands in congratulating all the students, principal, teachers and staff for the scintillating results and thank them for the hard work! The leap from junior college/ pre-university education to university and subsequently working life was often a fearful one with the journey being filled with great uncertainties. This was exacerbated by insufficient knowledge on the courses offered by various universities and the possible career opportunities associated with the courses, as well as what the career entailed. To plug the gap in today's situation, a social initiative, in collaboration with the Hwa Chong Junior College alumni, was established to increase awareness of possible undergraduate courses and the career options/ opportunities associated with various undergraduate specializations. The project aims to help juniors/ prospective undergrads make more informed decisions about their choice of undergraduate course by considering the career they would like in future. The project collects inputs from the Hwa Chong Junior College alumni and their networks, and shares these personal anecdotes on their undergraduate education and their career paths of working professionals on a website called "Our stories. Your opportunities". The website (link: http://projectosyo.wix.com/projectosyo) was launched in January 2016 and to-date, 23 stories had been received. The website would be updated on a weekly basis, publishing up to five stories each week. To juniors who had recently graduated and joined the alumni, do check out the website. For alumni who are currently working, do help to contribute your stories by filling out the form (it's also listed on the website)! 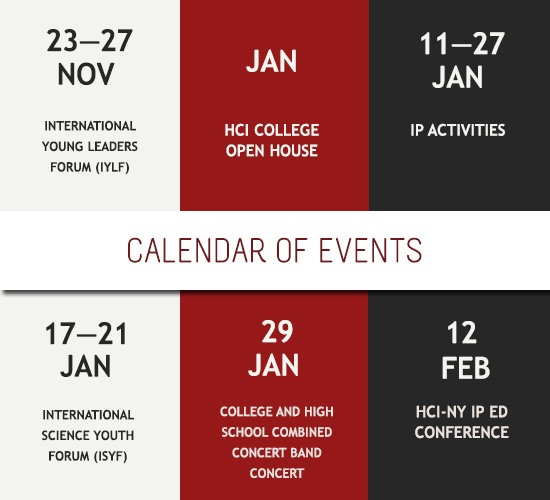 In this issue of Panorama, we celebrate the accomplishments and notable events of the Hwa Chong family in 2015. Presented here are snapshots of the latest issue, a peek into Hwa Chong's tradition of excellence. 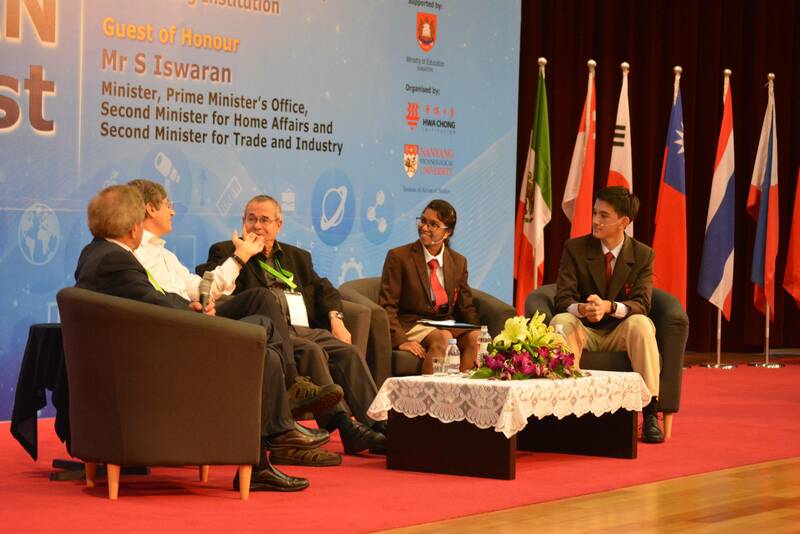 Hwa Chong once again hosted the annual International Science Youth Forum. Spurred by this year's theme — "Becoming a Modern Scientist" — distinguished Nobel Laureates and students discussed harnessing science for humanity’s benefit. Team Hwa Chong emerged triumphant at the Singapore Science Engineering Fair, proceeding to perform exemplarily at the Intel International Science Engineering Fair. Two of our Service Learning groups meanwhile blazed new trails at the Future Problem Solving Programme International Conference, weaving compassion and passion together to clinch prestigious awards amidst stiff competition. Locally, College students from the Chinese Orchestra reached out to the elderly at Ren Ci Hospital in an afternoon of melody and warmth. 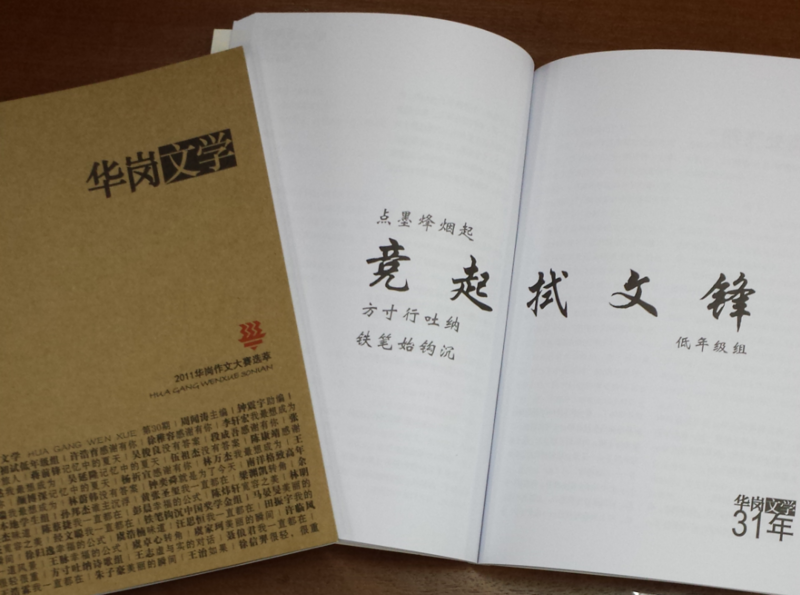 In the spotlight for this issue is the publication 《华岗文学》, which for the past 34 years has chronicled the literary talent and flair of our High School students. The Hwa Chong family’s tapestry of experience is indeed a diverse and distinguished one, and we hope that 2016 will be equally fulfilling. 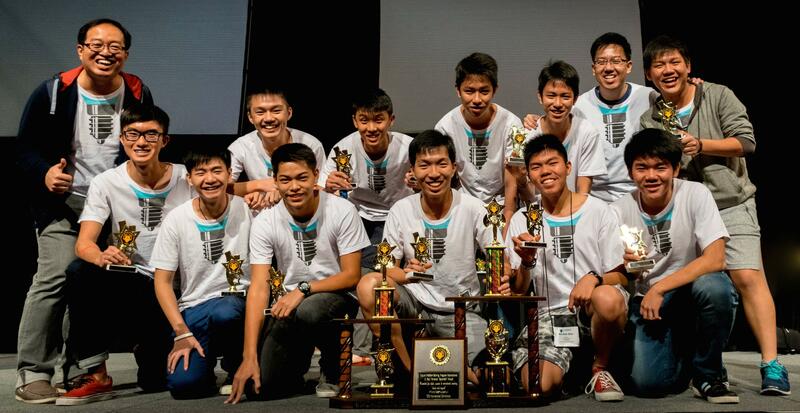 Hwa Chong’s tradition of excellence at the Future Problem Solving Programme International Conference (FPSPI) continued in 2015, with two Service Learning groups clinching top awards. Project Integrate sought to assimilate transient workers into society. Their extensive efforts earned them first place in the Community Problem Solving category (Senior Division) and the prestigious E. Paul Torrance Beyonder Award. Project Keep In Reach, which focused on helping beneficiaries from TOUCH Centre for Independent Living and the Movement for the Intellectually Disabled of Singapore to integrate better into society, clinched the third placing in the same category. Motivated to make society more inclusive, both teams pushed through the tough process of conceptualisation and execution, ultimately achieving success. They urge other Service Learning teams to persevere in trying times and hope their projects reflect the abilities of youth to positively impact society. Motivated to alleviate the outbreak of waterborne diseases, Benjamin Tan Kye Jyn (15S7B), Tan Yi Zhao (15S7G) and Lim Zheng Theng (15S7J) sought to find a cost-effective, non-toxic method of purifying water, helping many who lack access to clean water. With their project “Synthesis of Electrospun Nanosilver-Functionalised Nylon 6 Nanofibres for Membrane Water Purification”, the team emerged first at the annual Singapore Science and Engineering Fair. 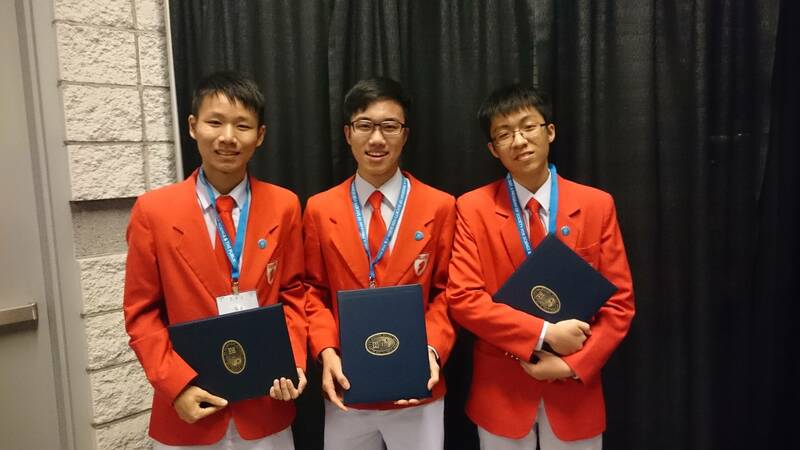 This earned them the right to represent Singapore at the Intel International Science and Engineering Fair in Pennsylvania, where they clinched Second Award in the category of Environmental Engineering. They also received the Special Award for the Best Example of Team Science in the Life Sciences category from Sigma Xi, the distinguished international honor society of science and engineering. These achievements did not come easily. The team encountered failure multiple times, but were spurred on to work hard by their mentor, Mrs. Sow-Peh Yoke Keow (Principal Consultant / Research). With the theme “Becoming a Modern Scientist”, the 7th ISYF inspired attendees to look towards the future. Much of the panel discussion with the Nobel Laureates also centred on the qualities that future modern scientists require. Urging young scientists to be patient and humble in their efforts to push the boundaries of modern science, the Laureates remarked that passion is key to success, because it can help scientists find “a poetic way of doing science”. For aspiring modern scientists, the path ahead might be challenging, but it promises discovery, personal growth and societal progress! 1. You're an alumni of Hwa Chong Institution. 2. You subscribed via our website. We mourned the passing of Mr. Tan Keong Choon, Hwa Chong Junior College "Founding Father" and the First Chairman of the Hwa Chong Junior College Management Committee. He was Chairman from 1974 till 1996. Mr. Tan passed away on October 27, 2015 at a ripe old age of 98. Mr. Tan has been instrumental in the founding of our college and continued to accord special attention and focus beyond that. As a mark of respect and to honour Mr. Tan, the Hwa Chong Junior College Alumni will be putting up two condolence tributes in our national newspapers. One will be English in the Straits Times and the other, in Chinese, in Zaobao. Both ads will be published tomorrow. The Hwa Chong Junior College Alumni, former staff and students would like to express our deepest condolences to the family of the Late Mr. Tan Keong Choon. Hwa Chong Institution has been conferred the Outstanding Partner Award by the Chinese Development Assistance Council (CDAC). This is the highest award given to an organization that has contributed significantly to CDAC since 2006. The Homework Clinic with CDAC@Redhill, where student volunteers provide weekly coaching to CDAC beneficiaries on their school work. The Food Drive, where teachers, students and their parents, help to pack and distribute food items and necessities to more than 550 CDAC beneficiary families. In addition, HCI has been conferred the Community Service Award by Pertapis Children's Home. The special award was given for continuous and outstanding contribution to the home by Hwa Chong staff and students. As part of its Corporate Social Responsibility, the school adopted Pertapis Children's Home in 2012. To date, Hwa Chong staff have raised close to $33,000 to support the home. Among other things, teachers and students conduct weekly homework coaching and enrichment classes. Last year, the school also organized a series of career talks for the children. Started in 2011, "My Singapore Project" is a creative and meaningful effort led and founded by Lorraine to inspire and bring people together to contribute to the less fortunate through music and arts. My Singapore movement provides opportunities for children to experience music and the arts on a larger scale, and helps inculcate in them the values of giving and charity by allowing them to see and feel for themselves the power of giving. The movement also celebrates National Day while remembering the less privileged in our society. My Singapore 2014 ended on a high note on 12th Aug 2014 with a music concert for 3500 people at The Star Performing Arts Centre with The President of Singapore Mr Tony Tan Keng Yam as the Guest of Honour. The project raised more then $200,000 for the 64 charities under President's Challenge 2014. 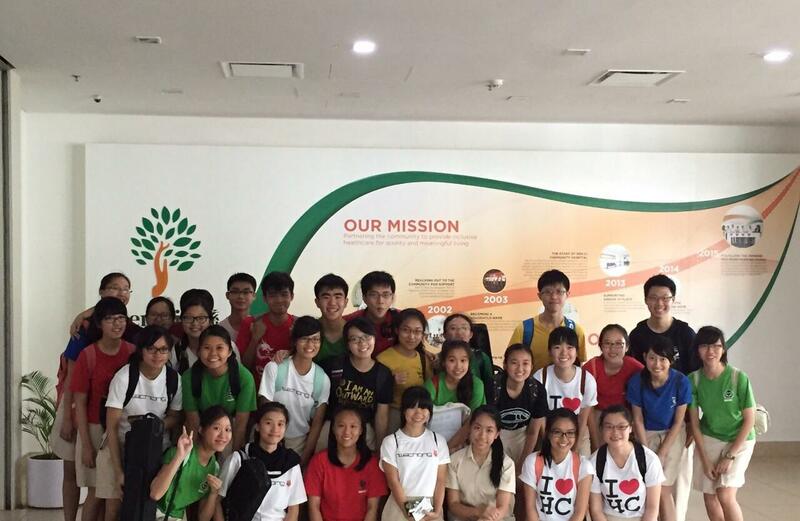 More then 300 students from different schools in Singapore also participated in this project. Similar to previous years, we will produce a theme song and MV to be shared on YouTube near National Day.